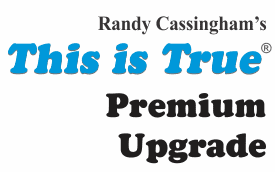 Premium upgrades, renewals, gifts, and gift renewals which automatically renew when it’s time. See below for complete details. You must create an “account” in this shopping cart for recurring subscriptions to work. It is highly recommended you use a credit/debit card, rather than Paypal, when you check out, since this gives you the option of later changing your renewal frequency if you wish. Comments/Special Instructions (such as gift recipient name/email) can be added when you check out. Looking to Provide Extra Support with your renewals — and get extra benefits? That’s on this page. If you prefer, subscriptions without auto-renewals are here. You get the entire column, not the abbreviated selection of the free feed. The full column has at least 10 stories each week — often more. 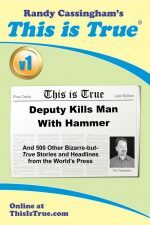 Arrives much sooner than the free edition (late Monday nights). You get occasional extra features and stories that are not sent to the free-feed subscribers. *You can update your address as often as necessary — see the bottom of any issue for a special update address. Since we are rather open with our “free samples” (you know what you are getting before you pay for it! ), there are no refunds should you unsubscribe for any reason. Please leave any comments, gift message or special instructions (include name and email of gift recipients!) in the comment box. A: To support the publication to help it thrive and stay online, and this kind of support means less future need for price increases (and smaller increases when they do happen), which enables more people to upgrade. This option was requested by existing Premium subscribers. More here.